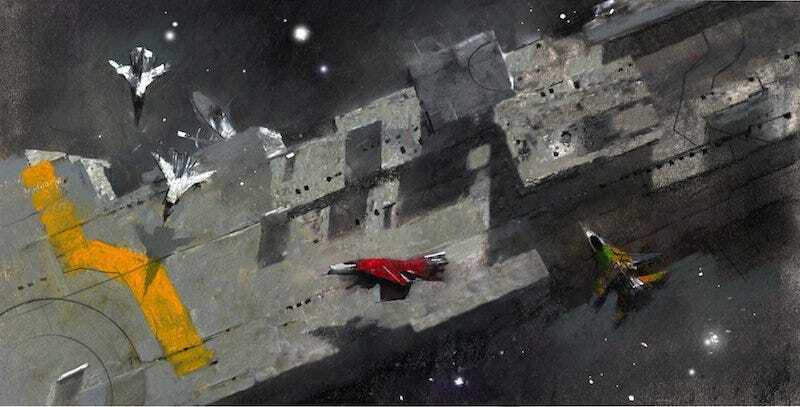 One of the most notable things about Ann Leckie's Nebula and Clarke-winning novel Ancillary Justice is its unusual pronoun use, which she talked a lot about when she answered your questions. In a new profile, she explains how she was told it would make the book unpublishable. Without giving too much away, Leckie's novel handles gender in an unusual and provocative fashion. And she tells the Riverfront Times that this caused some issues. "I had a lot of people say to me, who would have reason to know, 'You will never be able to sell this because of the pronouns.'" When she finally sold the book to Orbit, her agent came back to her with a list of suggested revisions — chief among them, changing the pronouns in the book. Says Leckie: "I was like, 'No, whatever happens, I'm not going to change that. That's a deal breaker.' I sent him this big, long e-mail, and he was like 'Oh. All right.'" Read the whole thing over at the Riverfront Times.